Our primary practice area of law is personal injury which includes car accidents, product liability, premises liability, medical malpractice and nursing home negligence. We will go after whoever and whatever is at fault. People buy insurance so that when an accident, injury or illness occurs, insurance will cover the costs. If you suffer a personal injury due to someone's negligence or error, the insurance coverage should cover your losses and come from the person at fault. That is how it should work. As personal injury attorneys with extensive civil litigation experience, we hold insurance companies liable. At Treon & Shook, PLLC, our attorneys understand, on a very deep level, how insurance companies work and don't work. Our AV-rated* attorneys have sued nearly every major insurance company with clients. At Treon & Shook, PLLC, we are not afraid to take on difficult cases. Many cases are not clear-cut "winners," but that does not deter us. We are one of the few law firms in the area that will accept cases that may be difficult to prove, or ones that may not be worth a million dollar settlement. Our lawyers will protect your rights and act as advocates for you in court and during insurance company negotiations. At our law firm, we understand that our clients come to us during a time of stress and need. We take our responsibility very seriously and seek to obtain not only the results you are looking for, but to do it in a manner that does not add additional stress to your life. Our satisfied clients agree that we succeed in both instances. Personal service is more to us than words on a piece of paper. We not only believe in responsive client communications, we also give our clients our cell phone numbers to contact us with urgent matters. 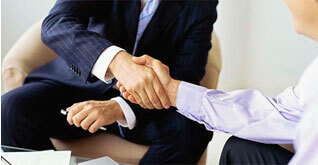 At our law firm, we focus on our clients and their needs. If you have a property loss, personal injury or a bad faith insurance situation, please call one of our lawyers at 602-265-7100 or send us an e-mail. There are no attorney fees unless a settlement is reached in your case.